My work and life experiences have led me through many wonderful opportunities of various customer service oriented jobs, that developed and nurtured my heart for working with people from all walks of life. I recognize and place great value on building good working relationships. My favorite jobs have always been where I could combine skills of understanding, patience, and compassion, along with working in high impact public contact, while doing my personal best to provide a meaningful service to others. 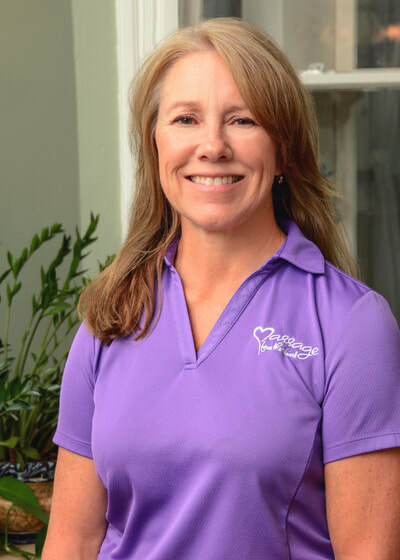 My long time and deep seeded interests in the healthcare field, eventually brought my vision into focus on the healthful and amazing benefits of Massage Therapy. Listening further to my heart and undergoing an intensive educational training program at Boulder College of Massage Therapy, a long time dream of becoming a Licensed Massage Therapist became a reality. Massage Therapy has brought a whole new level of appreciation of the human body and an increased desire to bring my clients into their own awareness of the need and value for self care. Becoming a massage therapist and assisting in promoting healthful benefits to all ages, has become the ultimate gift to myself. It would be my honor to work with you to bring mind, body & heart connection into your life!